Here is a great idea for storing your garbage bags under your kitchen sink, or anywhere else for that matter. 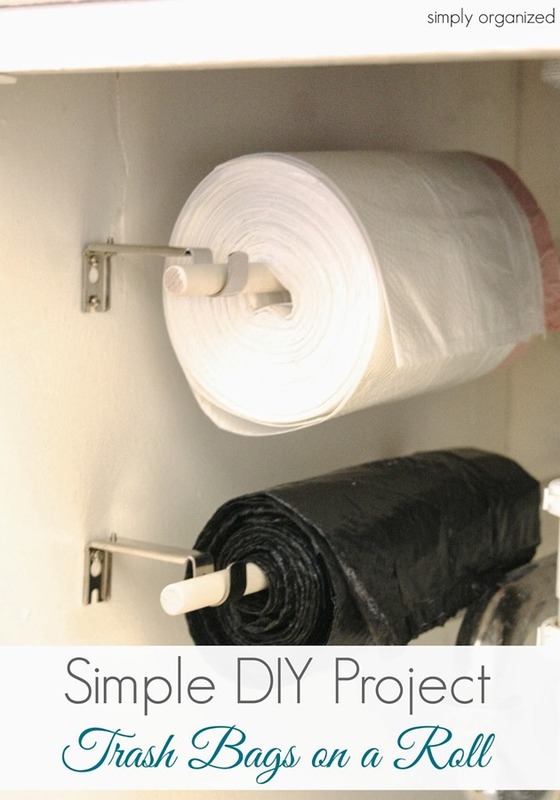 Samantha from Simply Organized shares how she made these garbage bag holders on her blog. I love how this keeps the garbage bags in easy reach and frees up some “floor space” for other items under the sink.